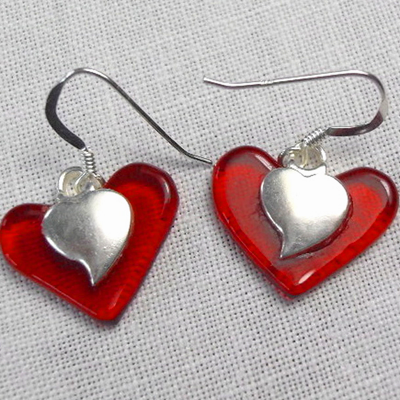 The earrings measure 2.8cm x 2.5 and are made of one layer of Red translucent glass. They have plated silver hearts attached to the glass, and Sterling Silver earwires. They match a Red heart pendant in the pendant section and come in a Black card gift box.